Chapterthon 2017 winner is the Internet Society Turkey Chapter for the project Coding Sisters, which had the aim of optimizing the opportunities for girls to be involved in STEM field. 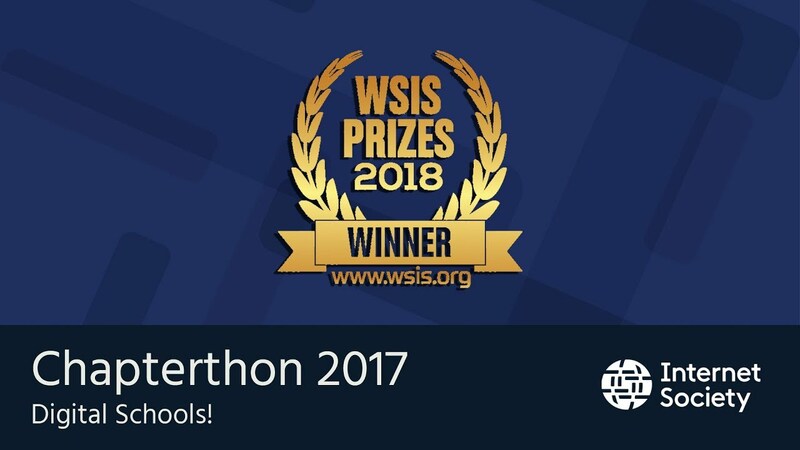 Chapterthon “Digital Schools!” is WSIS Prize Winner 2018! Chapterthon 2017 has won the WSIS Prize 2018 for the Category C11: International and Regional Cooperation. WSIS Prizes is a unique international contest developed to showcase the projects that are leveraging the power of ICTs to achieve the United Nations SDGs, 17 global goals dedicated to building a better world by 2030. 30 Internet Society Chapters from all the regions have worked hard to extend the benefits of the use of the Internet in education to their communities. Connecting schools to the Internet, teaching coding to girls, training teachers and parents, raising awareness about the safe use of the Internet, developing an online platform for a school and helping to create educational, and local content are just some examples of the amazing work our Chapters have done. The Internet Society seeks to improve the quality of people’s lives in all parts of the world by providing them meaningful access to an open, trusted, and global Internet. The adoption of the 17 Sustainable Development Goals (SDGs) by the UN in September 2015 gave us a clear framework to increase our development efforts as well as reinforce our commitment to bringing the benefits of a globally connected Internet to everyone. We have always seen the Internet as a critical enabler for sustainable development and believe that access to it will help accelerate the achievement of all of the SDGs. To make this real and show the impact of the Internet in the achievement of the SDGs, we want to help our Chapters move the needle on one SDG in particular: SDG4 – Ensure inclusive and equitable quality education and promote lifelong learning opportunities for all. This is why the theme of Chapterthon 2017 was Digital schools. During the past months, 30 Chapters from all the regions have worked hard to extend the education benefits of the Internet to their communities. Connecting schools to the Internet, teaching coding to girls, training teachers and parents, raising awareness about the safe use of the Internet, developing an online platform for a school and helping to create educational, and local content are just some examples of the amazing work our chapters have done. While all the projects have left an important mark on local schools, the Internet Society community members have voted and selected the best project. 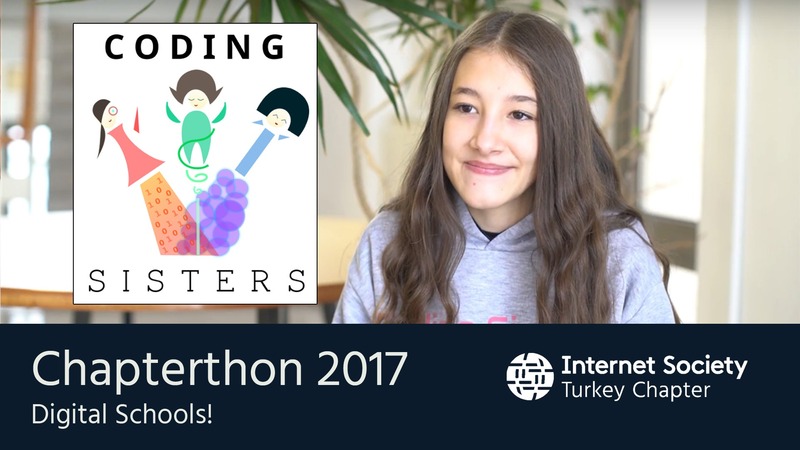 Chapterthon 2017 winner is the Internet Society Turkey Chapter for the project Coding Sisters, which had the aim of optimizing the opportunities for girls to be involved in STEM field. Read more about the projects and the winner!